To make up for its lack of movement, it uses many moves to draw Sora, Donald and Goofy towards itself. If left alone, the battle will become troublesome, so if it should appear, focus on this first. Magic isn't very effective against it, so bash it with the Keyblade! 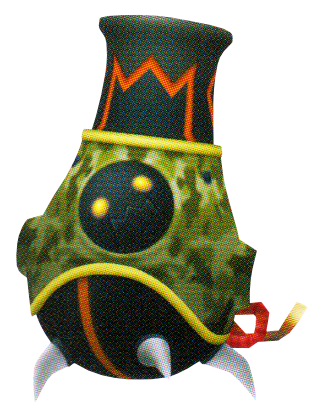 Because it attacks so quickly, there is hardly any time in which this Heartless's guard is down. By using attacks like Magic, halt it in its tracks. Its chain of kicks it lets out is when it's most susceptible to damage. Counter with a Reaction Command! A two-faced Heartless. When floating, the Keyblade poses no threat to it. However, its magic attacks can be reflected. If those hit, this Heartless will stop floating, allowing for attacks to hit. 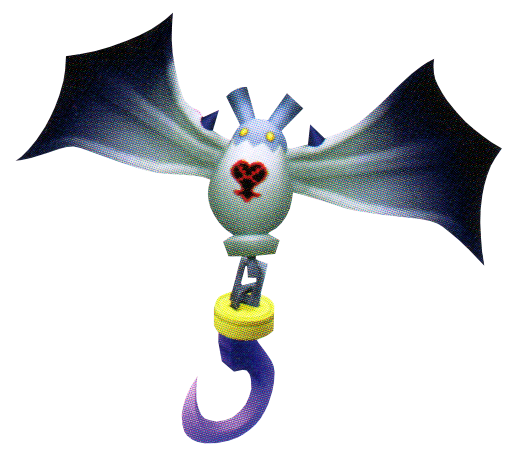 This Heartless will confuse Sora with its rapid movement. Use the Reaction Command "Bat Battery" to attack this and surrounding enemies. Note that Blizzard-based Magic has no effect on this Heartless. An incredible magician Heartless with much magic power. It uses 3 powerful elemental Magics. 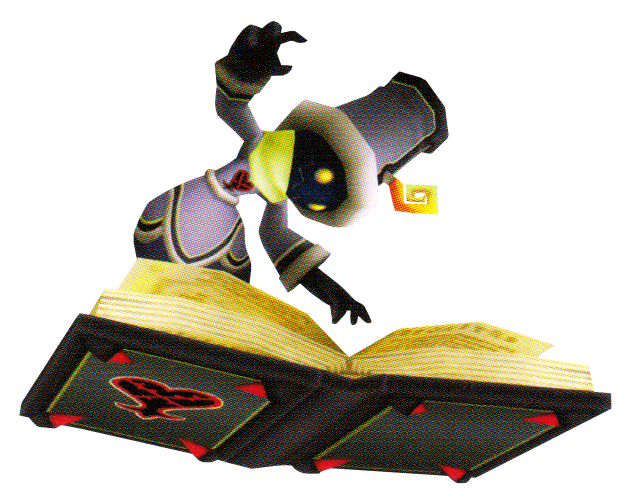 It also uses its book as a shield, so when attacking using the Keyblade, be sure to time it. 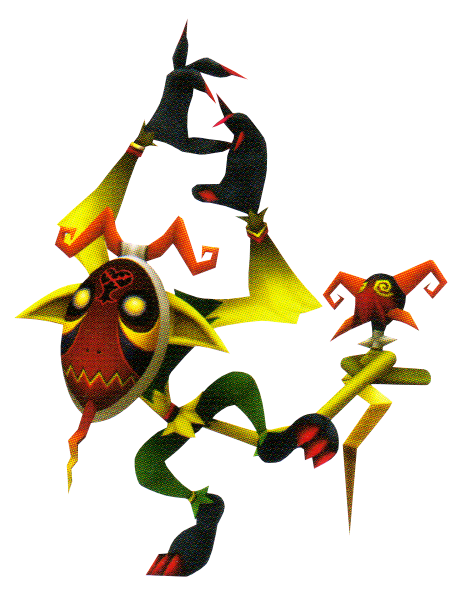 A Heartless that, while jumping, will use a spin attack. Be careful of the shockwave resulting from it bashing the ground. 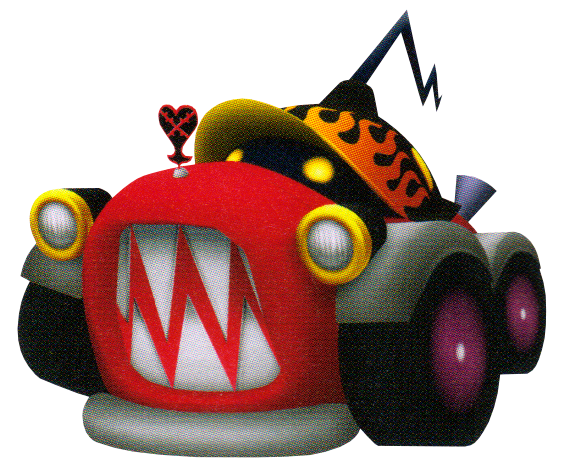 This Heartless is open to attacks right before it strikes. It will carefully view the enemy before opening fire. This Heartless will fire at your weakened allies, so be cautious. Fire and Thunder based Magic don't seem to have much of an effect on it. 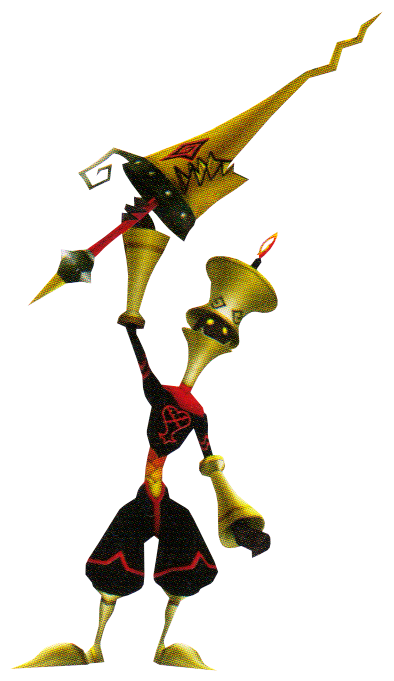 This Heartless's body and spear don't seem to get along very well, leaving it open for many attacks. 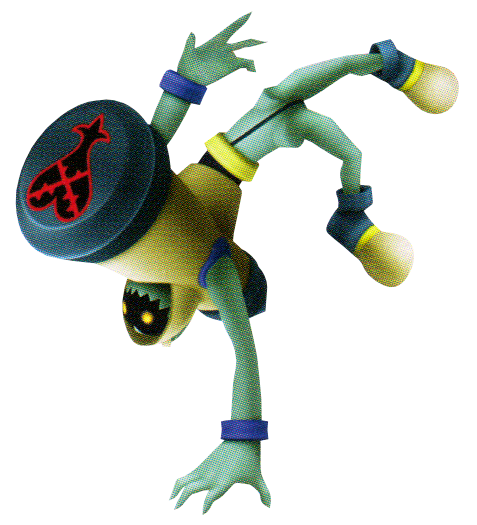 Note that its piercing attack will send Sora flying. The Reaction Command "Lance Tug" can be used against it. 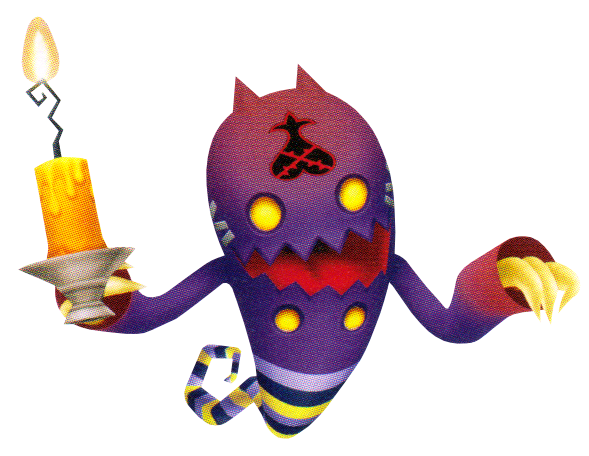 A Heartless that finds itself never stopping and always moving. 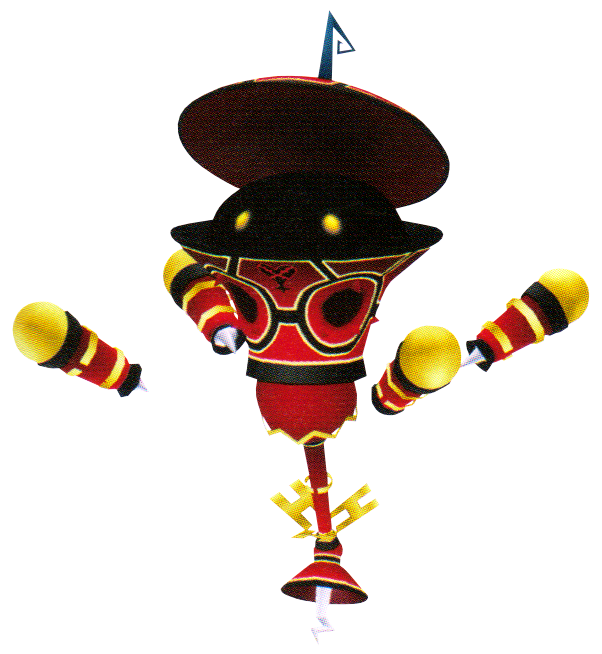 It will use a spin attack to startle Sora and then attack with a powerful bolt of lightning. Note that Thunder-based Magic doesn't work. Due to its extremely heavy body, hitting it away won't cause it to fly away. When its attacks are interrupted or guarded, it will become frustrated and enter a berserker state. Fire-based Magic don't damage it at all. Its weakness is, however, Blizzard-based Magic. 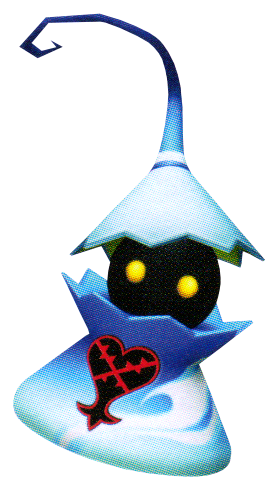 A Heartless with the ability to become invisible. Although Lock-On doesn't work when this enemy is invisible, if a hit is landed, then it won't be able to disappear for a little while. 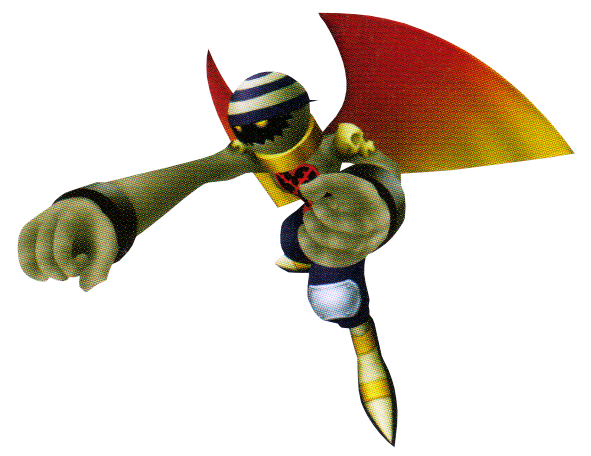 When it's in its mask form, no attacks have any effect on it. After attacking, its guard is down, so focus when fighting this Heartless. If it chooses a prey, it won't ever let it run. It will stop in the air to punch its target repeatedly. 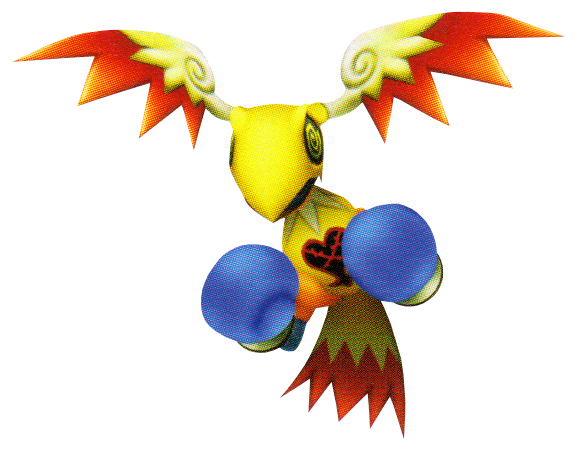 This Heartless punches in three different ways, but it gives signs as to which punch will be used. Learn the patterns and strike accordingly.